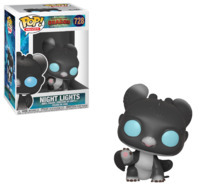 88.14% of people buy How To Train Your Dragon 3 - Night-Light (#3) Pop! Vinyl Figure and How To Train Your Dragon 3 - Night-Light (#2) Pop! Vinyl Figure.